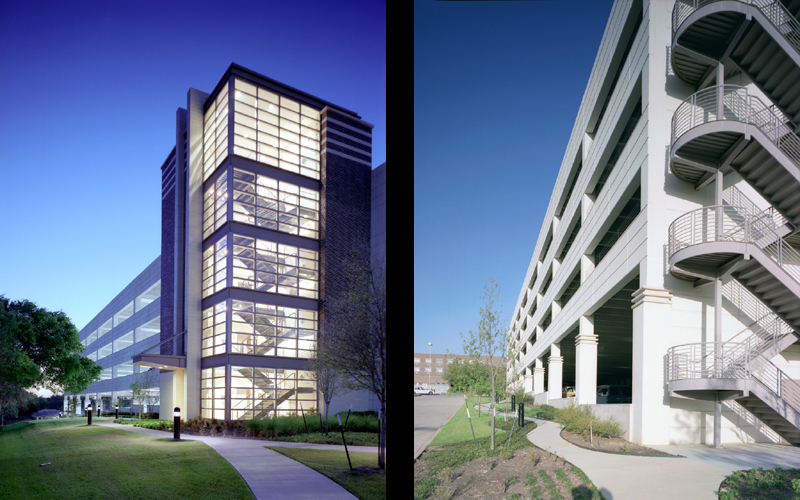 The new Outpatient & Ambulatory Surgery Center at Wilson N. Jones Medical Center in Sherman, Texas is a five-story structure which was connected to the existing hospital with an enclosed corridor. The project was planned with the idea that the finish out would be completed in tandem with the overall shell building so that all suites would be operational when the building opened. Physician Suites: Physician Offices of which SBL provided full A/E services for a variety of medical specialists working as single practitioners or as part of larger group practices. Specialties included Cardiology, ENT, Family Medicine, General Surgery, Internal Medicine, Neurology / Neurosurgery, Obstetrics / Gynecology, Orthopedics, Pediatrics, and Urology. Ambulatory Surgery Center: the Ambulatory Surgery Center is a completely self-supporting facility including Pre-Admitting Services, PACU and Step-down Recovery stations, Operating Rooms, Treatment Rooms, Sterilization Facilities, storage, and support spaces. Outpatient Radiology Center, with Women’s Services Component: the Outpatient Radiology Center is a complete, self-supporting department consisting of mammography, ultrasound, bone testing, MRI, CT, nuclear medicine, R/T, R/F, and all support spaces including staff areas, darkrooms and viewing. Retail Pharmacy with drive thru capabilities. The facility also includes a Conference Center with teleconferencing capabilities and a Food Court including Starbucks®. The success of the design of the garage is due to its simple, clean lines of geometry, with its striking vertical circulation tower that penetrates and anchors the Southeast corner. The entry to the garage is directly in front of the main entry to the hospital. 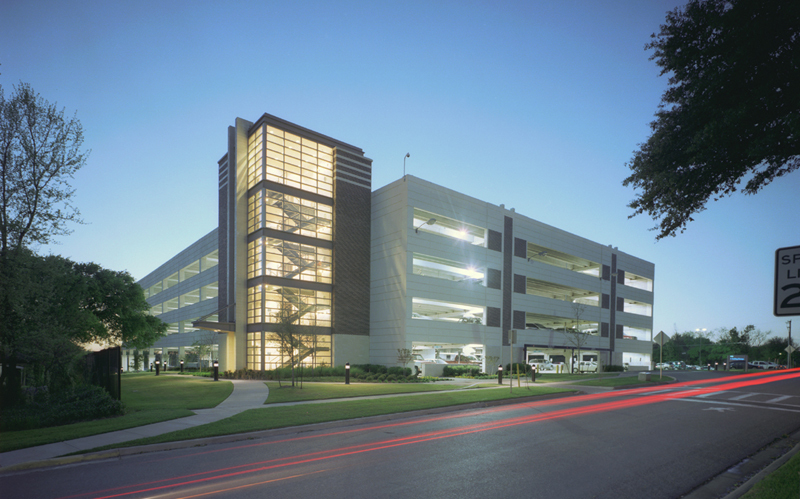 The exterior design of the garage provides a very open feeling from the parking areas due to the amount of natural light entering from all four sides. Additionally, due to the nature of the glass tower enclosure it provides natural light and a sense of openness. This design coupled with a very clear and simple way finding, provides a sense of security. A linear park-like setting was developed around the perimeter of the garage to soften the appearance of the large structure and incorporate it into the existing campus setting.